Only a few days left until Christmas, so it’s time for festive baking! 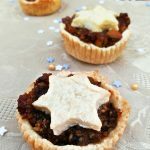 These Mince Pies are one of the basic, simple and delicious mini pies you can make! This year is the first year I made Minced Pies, but now they’ll be regulars in my kitchen for sure! It was easier to make than I originally thought, and even more delicious! You can sprinkle them with icing sugar at the end, but I’m not quite fond of it on desserts, so I just skipped it. Only a few days left until Christmas, so it's time for festive baking! 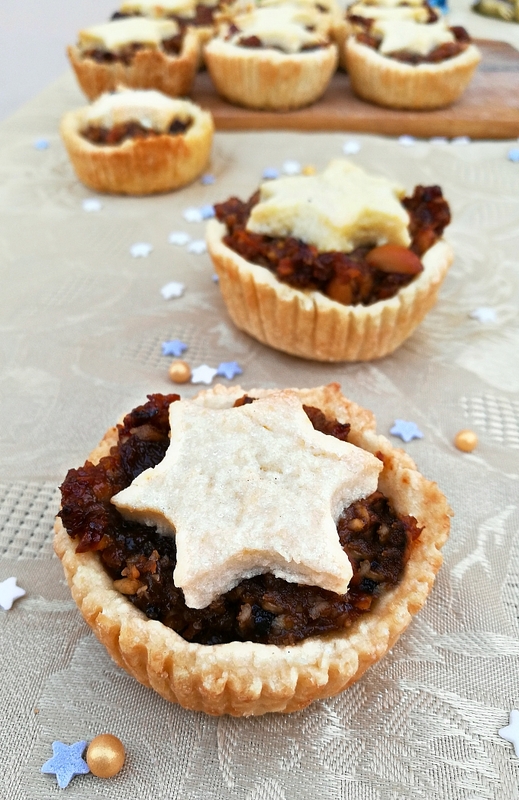 These Mince Pies are one of the basic, simple and delicious mini pies you can make! Wrap the dough in a clean foil and let it rest in the fridge until your filling is ready. Peel and grate the carrots and the apple. Mix them with the trail mix, the orange zest, and the raisins. Cook them with the water for 10-15 minutes or until everything softens. Let it cool a little and with a hand blender, blend it a bit so it doesn't contain large pieces. In the meanwhile, roll out the dough and cut round shapes in the size of your cupcake form. Cut little stars from the remaining dough. Push the dough into a cupcake pan or cupcake liners. Fill them with the filing, then add the stars. Bake it for about 15-20 minutes (or until the edge of the dough starts to turn golden, it burns quickly!) on medium-high heat.